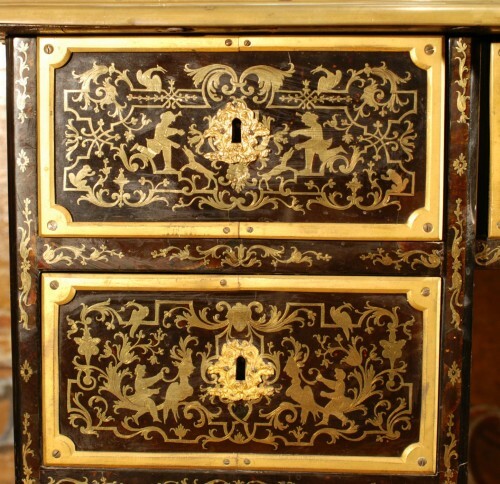 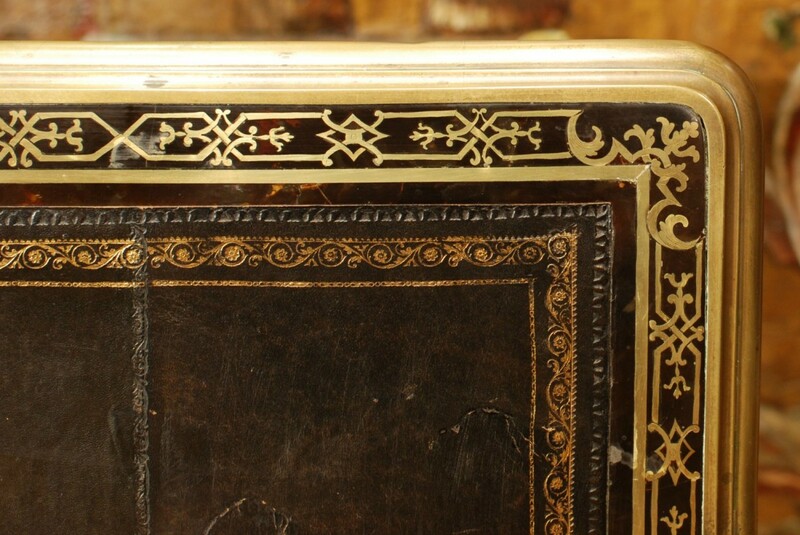 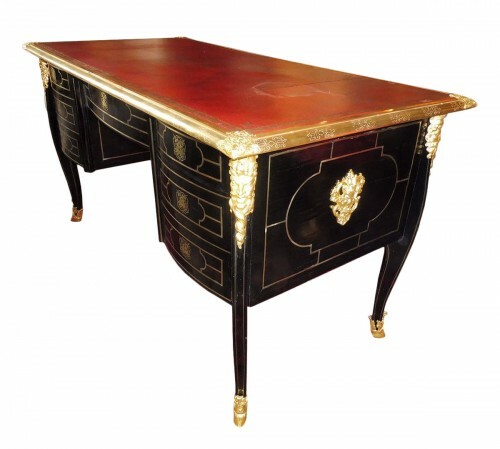 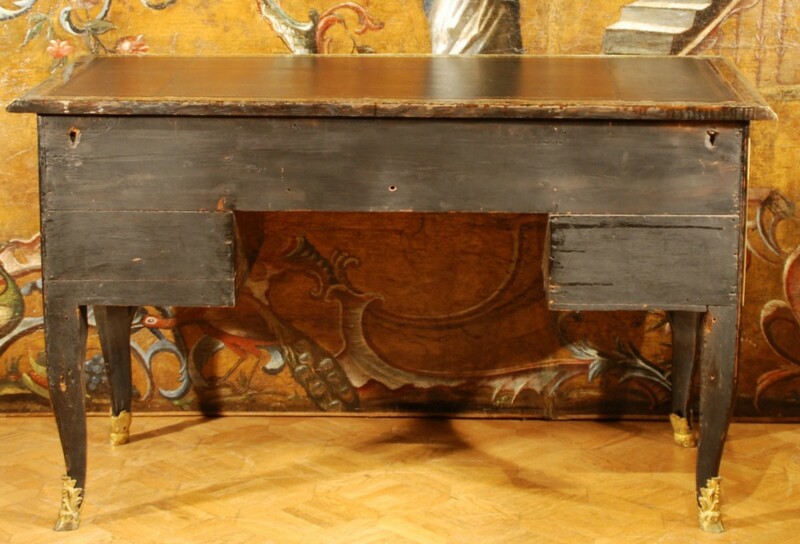 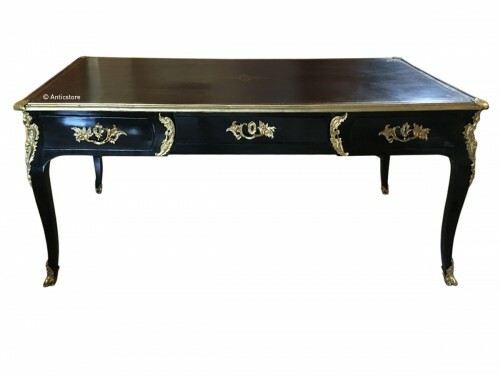 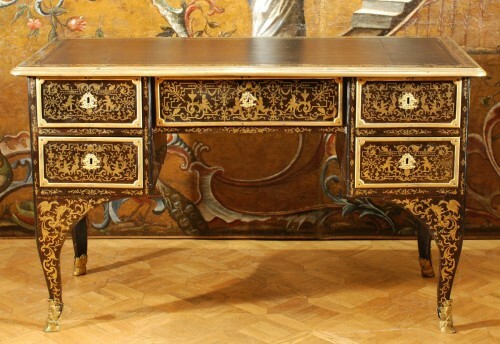 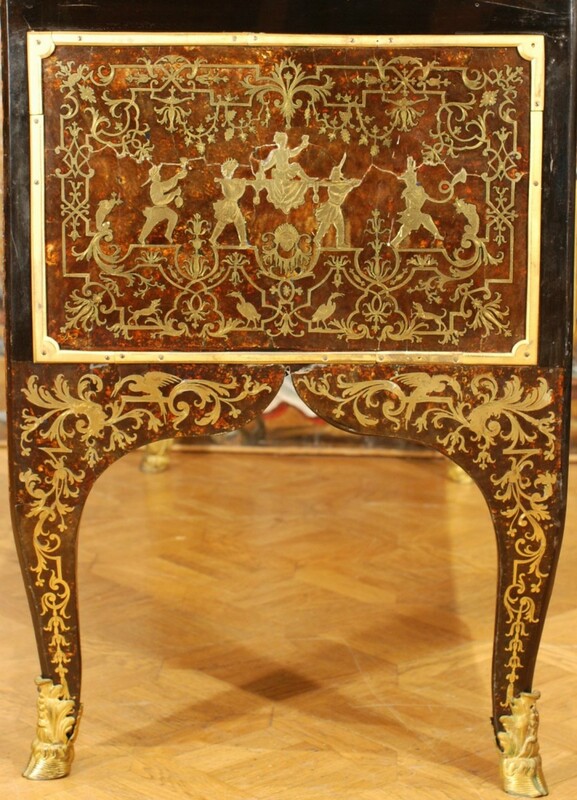 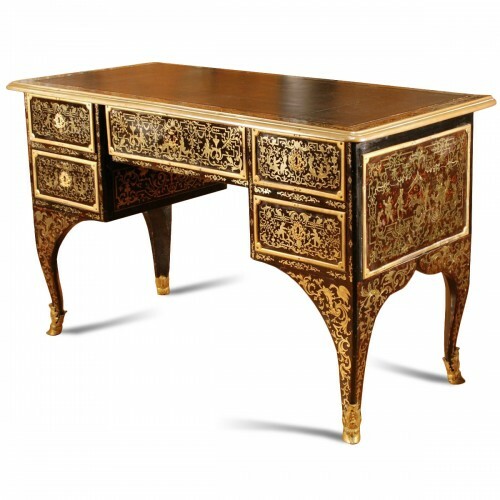 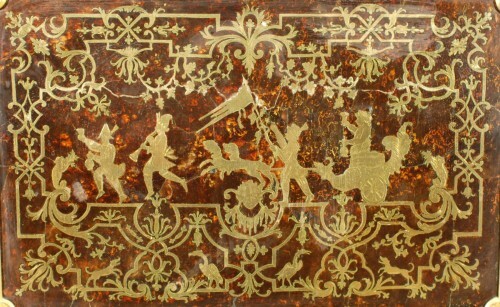 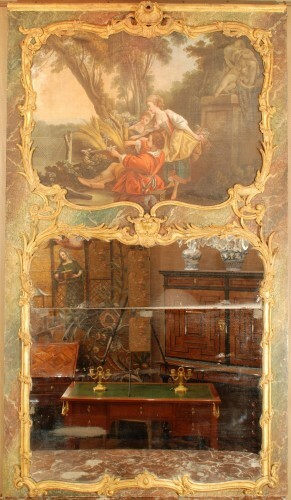 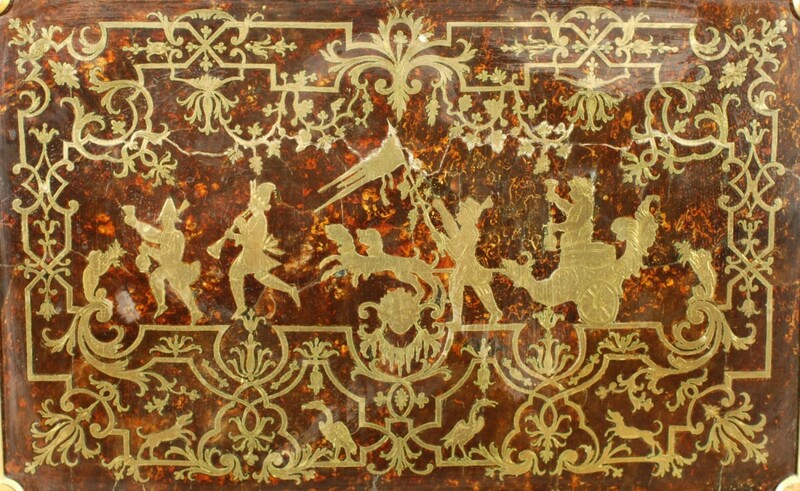 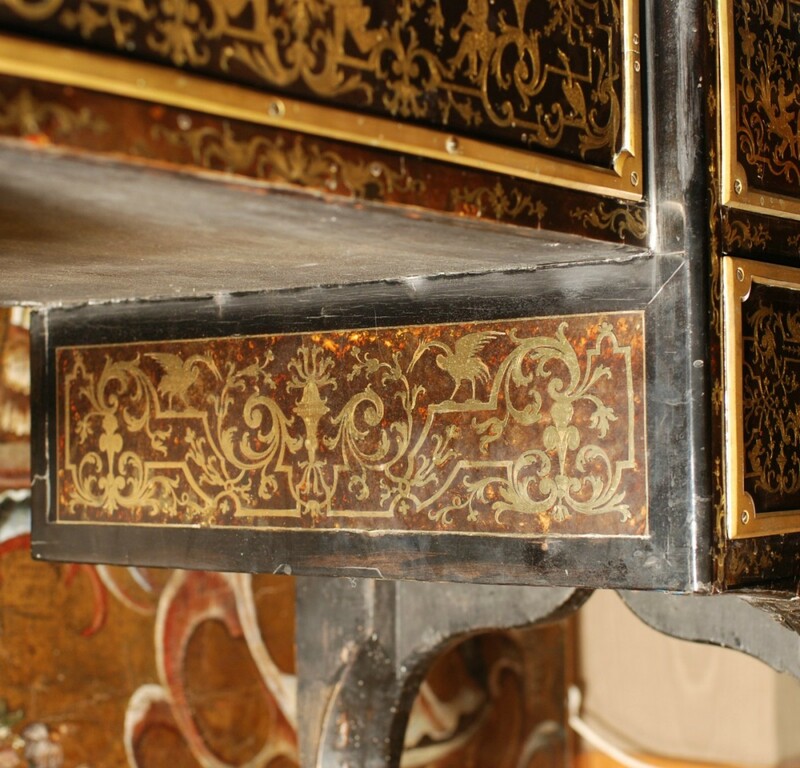 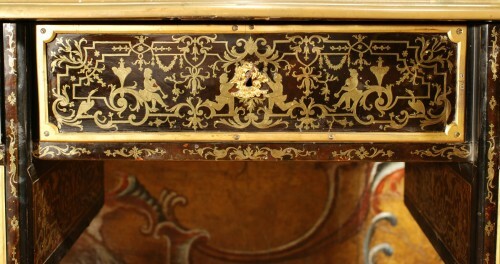 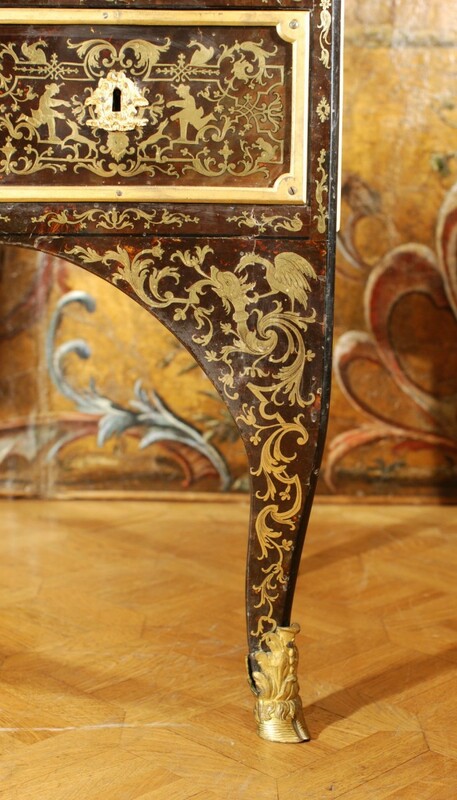 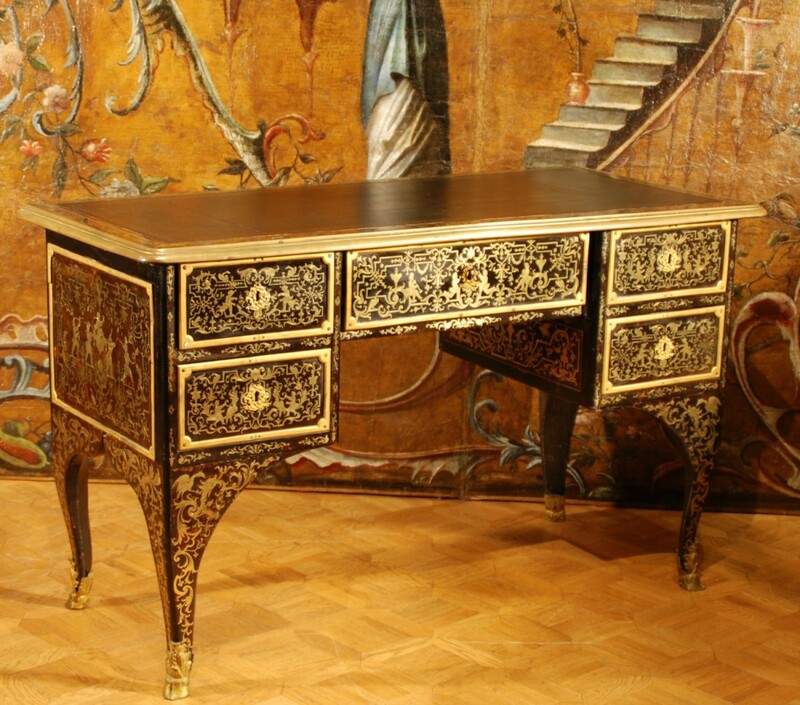 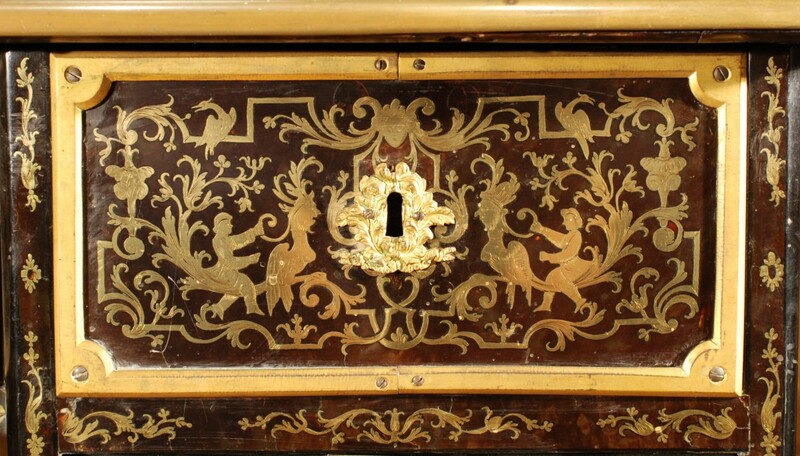 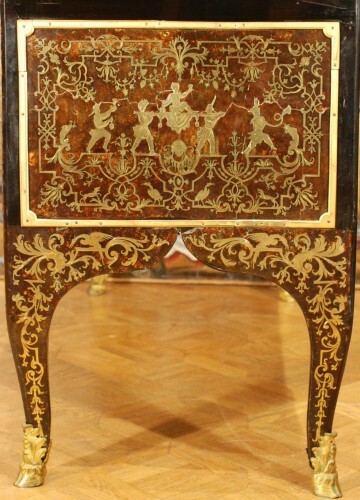 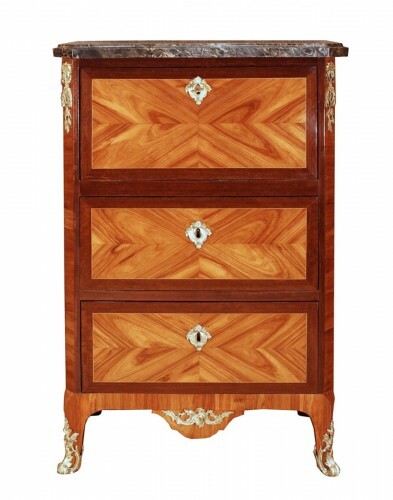 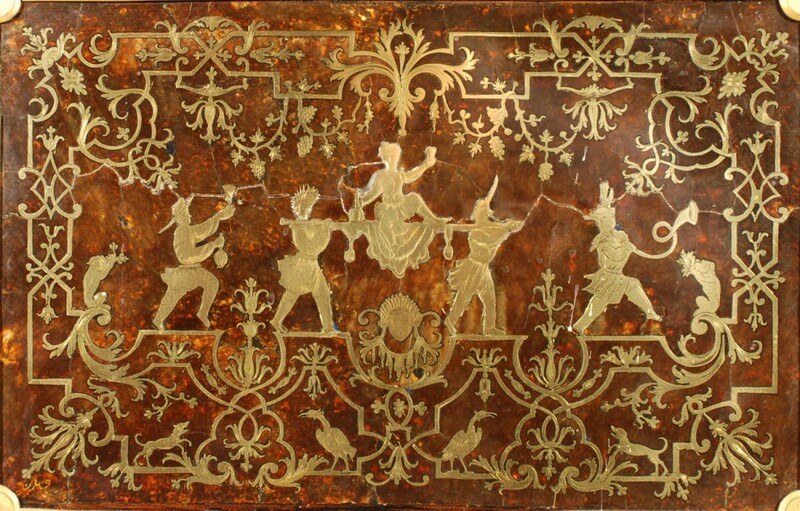 Bureau Boulle marquetry of brass and tortoiseshell. 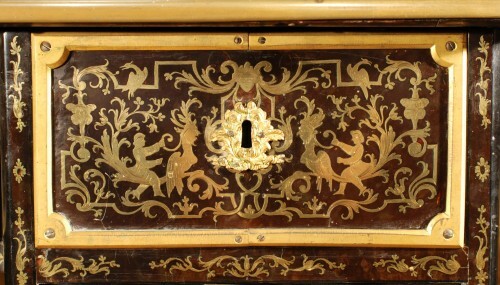 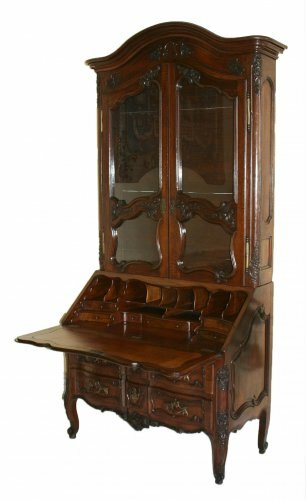 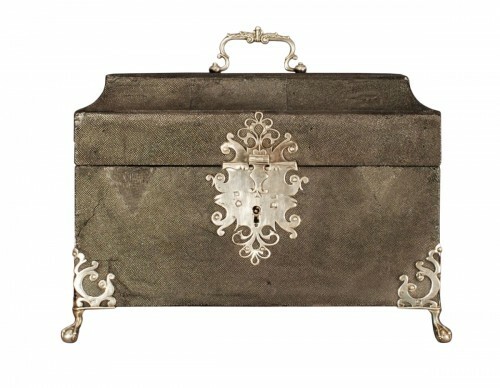 It opens with five drawers in two rows including the center in slight withdrawal. 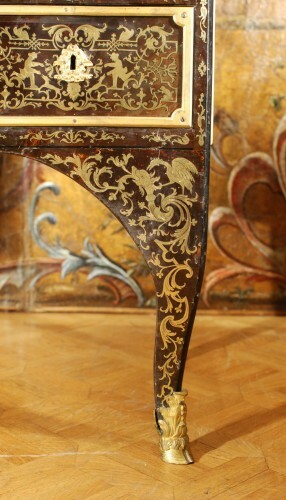 It rests on four curved legs ending in chiseled and gilded bronze hooves. This desk adorned with a decor called "à la Bérain" presents motifs of grotesques, musicians and dancers in the middle of scrolls, interlacing, foliage and animals such as monkeys, herons, dogs and fantastic animals.